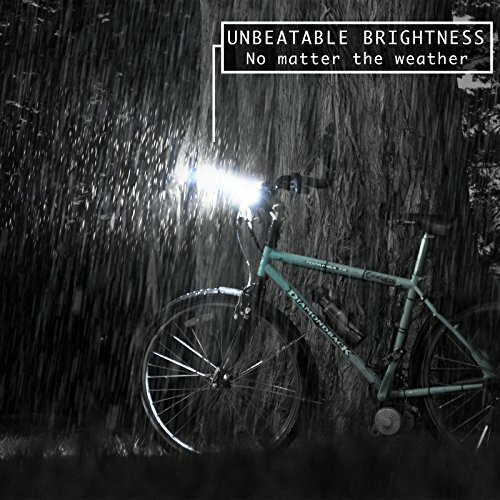 Finally, The World’s Brightest Bike Light Set Has Just Been Released! Bike Owners Wait No More! Are you sick and tired of bicycle lights generating inadequate lighting? Are you a huge fan of bike riding alone or with your friends? Is a night ride something that you are really looking forward to at the end of a long and tiring day at work? If the answer to those questions is yes, then you should keep on reading because we have the ultimate mountain bike light proposal for you! Riding your bike with safety involves getting luminous and durable headlights. We are pretty confident that our bike set is the way to go since it combines both style and craftsmanship durability! 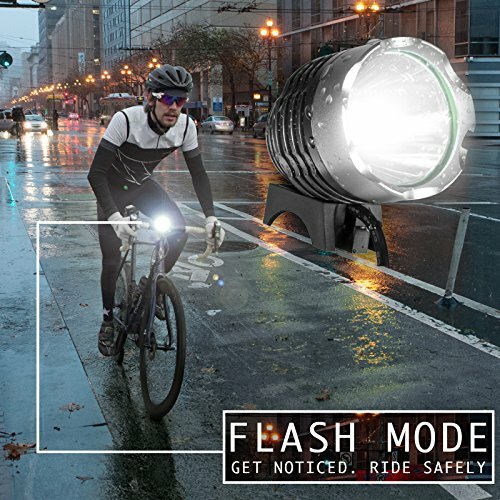 This bike flashlight will make you visible when riding in the middle of the night or during days with low visibility. The red rear taillight will keep you safe from vehicles coming from the back. Front and back safety lights to the rescue! 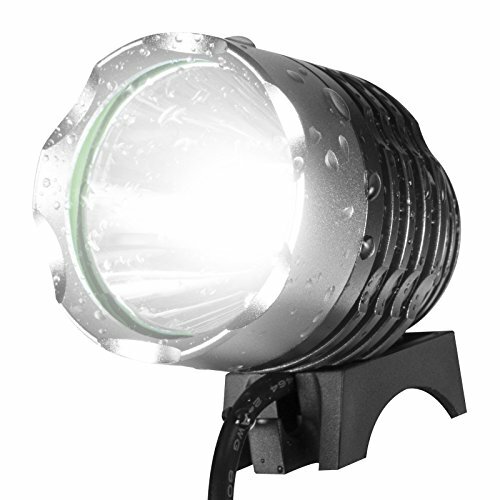 No more worries about messy headlights with our easy to use and install bike strobe light. Use the headlight fasteners to achieve a sturdy and secured positioning and you are good to enjoy that exploring bike ride with your friends. Our road bike headlights cast nice and broad beams for ameliorated vision everywhere you go. You may rest assured that no annoying shadows from the light itself will hinder your way anymore! What are you waiting for? Get yours today and one as a gift to a bike enthusiast friend or a beloved family member! THE ULTIMATE BIKE LIGHT HEADLIGHT KIT: If you love riding your bike but you constantly worry about your safety, then we got you covered. We have designed the finest bicycle headlight kit that will keep you safe while riding thus allowing you to enjoy those rejuvenating night bike rides that you so much adore! A must bike gear for all bike owners, no matter what the kind or the size of your bike is! EXTREMELY BRIGHT BICYCLE LIGHT: Forget all those poorly lit bike lights and invest on our extra luminous lights. Each bike headlight has a 6400 mAh 18650 rechargeable battery for long lasting biking experiences from this day on. Having bright front and back lights will make your traveling safer and you more confident! You can ride along all you want for at least 5 hours on medium mode and for more than 26 hours on low function. RECHARGEABLE COOL STREET BIKE LIGHT: Do not compromise with anything less than perfection when it comes to your biking accessories. Stop wasting time and money on disposable batteries and trust our rechargeable battery powered USB headlight. When it’s time for charging simply use the battery charger on any USB carrying device like your laptop, desktop or TV and off you go! 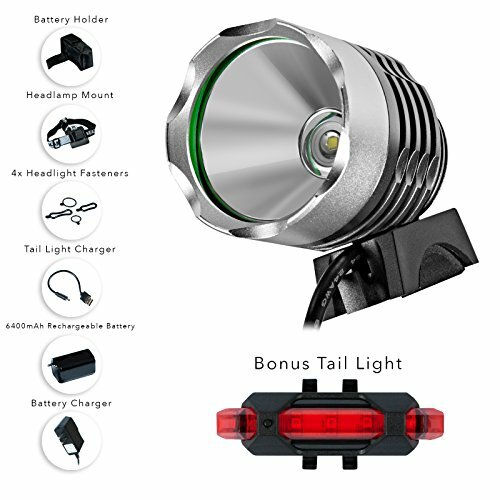 WATERPROOF & ERGONOMIC DESIGN BIKE SAFETY LIGHT: Use this durable and well-constructed light no matter what the weather conditions are. Being waterproof and lightweight it can withstand rainy days, foggy nights and stormy evenings as well. It comes with 4 headlight fasteners to perfectly adjust on both large and small handlebars! Use it on mountain bikes, street bikes, cycling ones and of course your kids’ bikes! 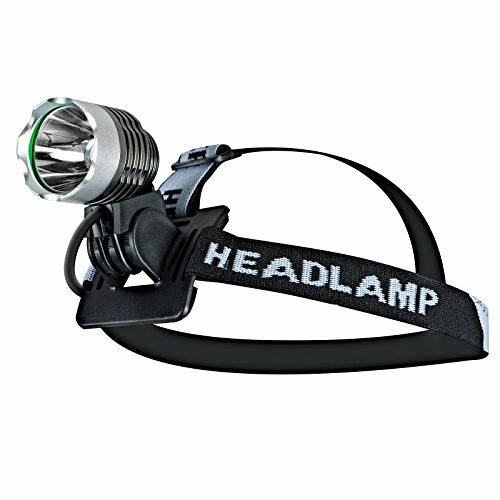 BONUS RED TAIL LIGHT & LIFETIME WARRANTY: This bike light can be mounted on your head to throw some light while mountain hiking or camping in the woods. It comes with a bonus red tail light that has its charger as well. 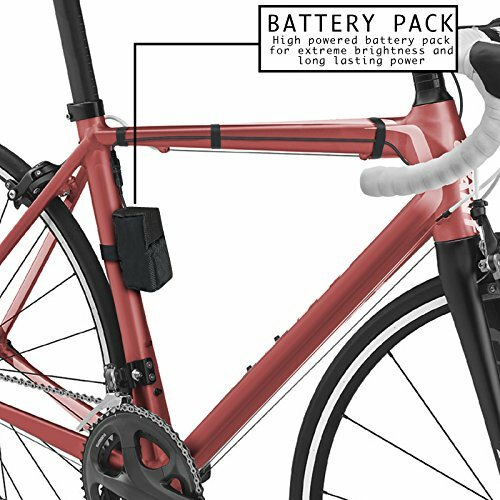 Since your satisfaction is our top priority, this product is backed by our unconditional lifetime warranty, in the unlike event of having any issues with our bike multipack.